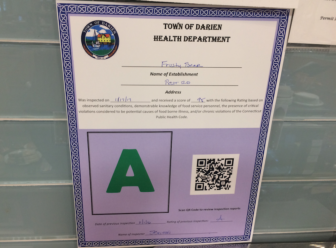 A Darien restaurant and a supermarket in town each received a “C” rating (the worst) in the six most recent health inspection reports released by the Darien Health Department. 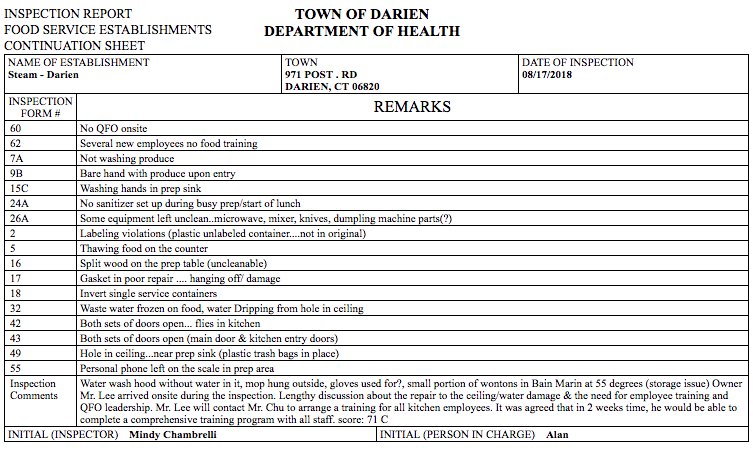 Editor’s note: Links to the Stamford and Norwalk online health inspections for restaurants are now included below and will be included in future reports on Darien health inspections. Although all local health departments use the state rating system, each department may vary in the way it interprets rules. Norwalk reports its 1-to-3 “Lighthouse” local ratings; Stamford lists violations and the points deducted for each. 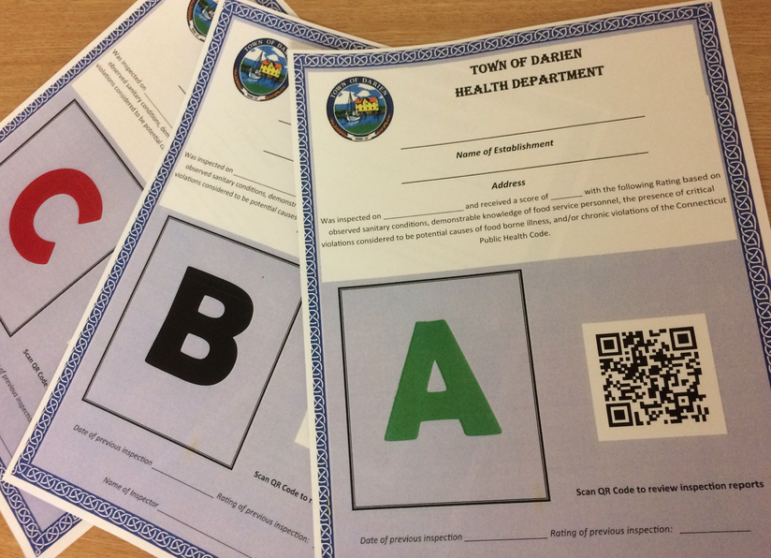 One Darien restaurant received a “C” rating — the worst in the town A-B-C ratings system — in the most recently released town Health Department inspection reports. A total of 17 health inspection reports were released on Thursday by the department.